Nowadays computers still can’t pass the Turing Test (but some researches show that they will pass it at 2029) , well, there are still some humans that can’t. 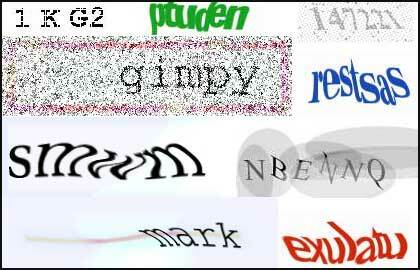 But they have achieved to pass some captcha images. BitDefender and SoftScan articles show that in the last days some spam bots have registered email accounts at Hotmail, Gmail or Yahoo mail. This is a big step for spammers that produce on me two side feelings. On the one hand I’m so sad because my mail filter has to work a lot to deal with this nasty plague, but on the other hand this has to wake on us encouraging feelings of a near future where computer can pass the Turing Test. This is like in my Science Fiction books.